Three Little Búhos: TIGI Bed Head Blonde Bombshell Giveaway! TIGI Bed Head Blonde Bombshell Giveaway! I've loved the Bed Head range from TIGI for a long time. I like that the products are reasonably priced, good sized and the tongue in cheek style makes me smile. 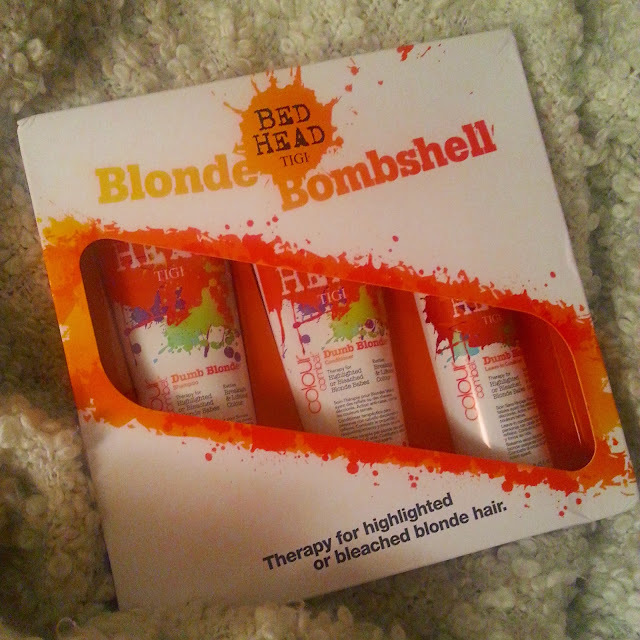 The Blonde Bombshell* kit is the perfect one stop gift for both natural blondes and those who colour their hair. Containing three full sized products; the Dumb Blonde Colour Combat Shampoo, Dumb Blonde Colour Combat Conditioner and the Dumb Blonde Colour Combat Leave-in Conditioner it is a good all rounder. Colour combat technology helps to not only lock in the true colour and keep it vibrant but it also deep conditions and works to actively strengthen the hair. 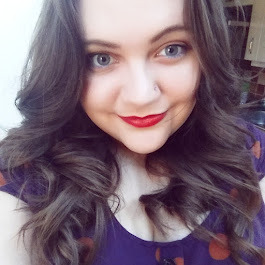 Now, if you're a regular reader of my blog then you'll notice that I am a brunette telling you all about a gift set designed specifically for blonde hair. That is because I was lucky enough to have been sent this kit to pass on to you guys and I'll be honest, I'm actually kind of jealous. I love TIGI Bed Head products and have used the Colour Goddess collection which is designed for brunettes and trust me, the lucky winner is in for a treat. So how can you win? Simple. All you have to do is fill in the Raflecopter form below and when the competition closes on 8th December I will select a winner at random and post out the prize. I'm afraid the giveaway is for UK entrants only and I will be checking entries to make sure there's no cheating! Just what I need to give my hair some personality !! Just had highlights recently so would love to win this! Would be lovely early Christmas present. Ive bleached my hair for the last 18 years so its always in need of some tlc. My hair needs some help! It is an ideal treat for a friend. I'd love to win this for my daughter...so she stops stealing mine!